After spending 96 hours in Warsaw, we’re off to Krakow. We’ve booked our tickets a couple of days before the journey, at the Warsaw central train station; the afternoon train ride costs 84 zloty for the both of us. The cabin offers a level of privacy; with dark blue curtains covering the entrance and sides; they swish in the wind as the train moves and the fresh breeze from the slightly open window keeps us cool. 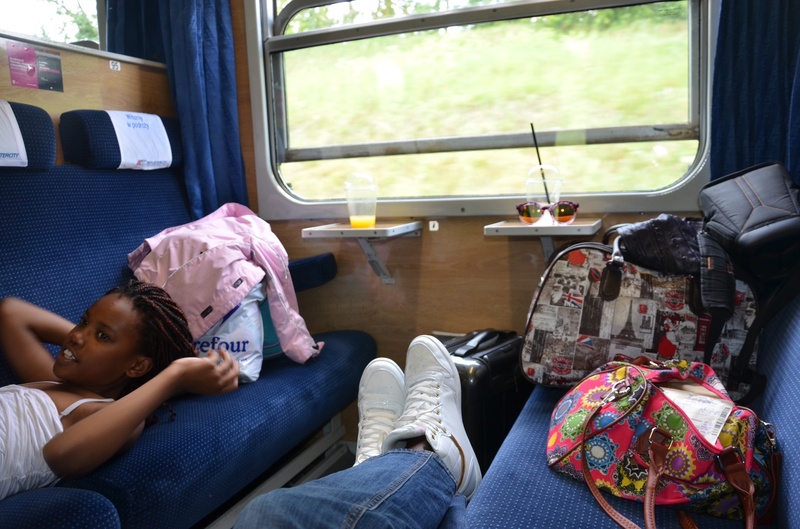 There’s enough space for us to relax with our feet up for the three hours the train takes to chug along to the destination and my daughter is thrilled. Our Airbnb is easily accessible by tram and bus; close to Aldi supermarket, and a huge shopping mall which contains KFC and Carrefour mega market. We can already tell that Krakow will be blissful. The legends say that Krakow was founded on the defeat of a dragon, small wonder then that the city has a mysterious vibe to it. But more than a little magic, one more aspect of the city engulfs us with a pleasant atmosphere every single time we venture out. Folks with the brightest of smiles constantly stop us and request for selfies. It’s like nothing we’ve ever experienced; not in Mostar, nor in Sarajevo, not even on the ferry to Phi Phi island in Phuket. 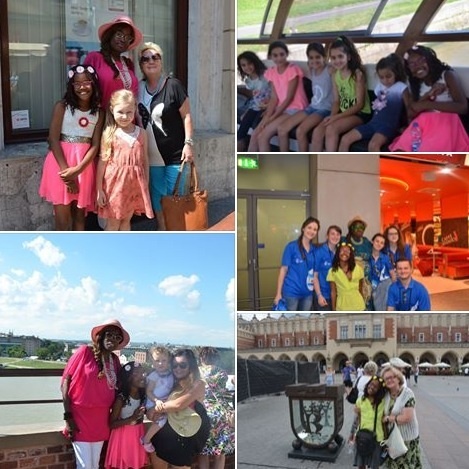 The selfies come with extras; little trinkets, small gifts, tiny short arms squishing the air out of my daughter’s lungs in loving hugs, invitations to collect acorns in the park..she feels like a princess in this medieval kingdom that is Krakow; celebrated and adored for difference; her melanin birth suit. 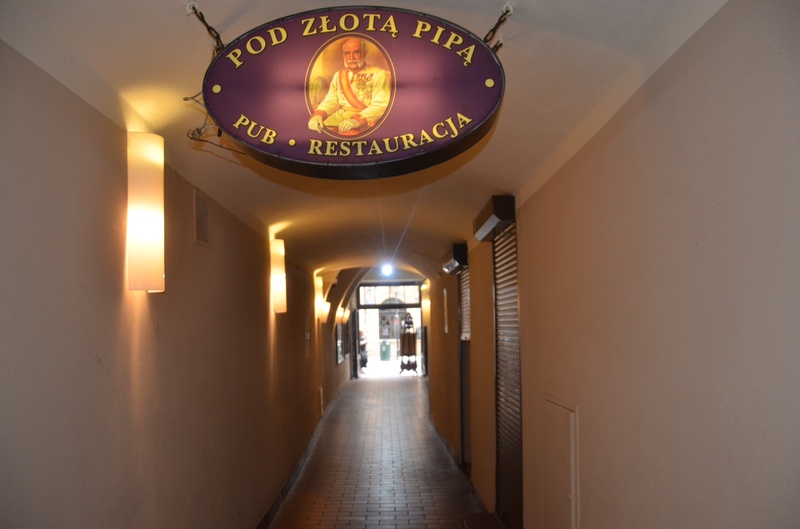 Krakow is bursting at the seams with surprises; sometimes we feel like the proverbial Alice in Wonderland, stumbling onto hidden treasures waiting to be unravelled. We gasp at the churches, synagogues, monasteries and cathedrals. St Mary’s Basilica quickly grabs our attention; it’s mighty edifice soaring high above the city. It is a short distance from the market square and as you venture in; you behold the magnificence of the one-of-a-kind altar piece created by 15th century German artist, Veit Stoss. 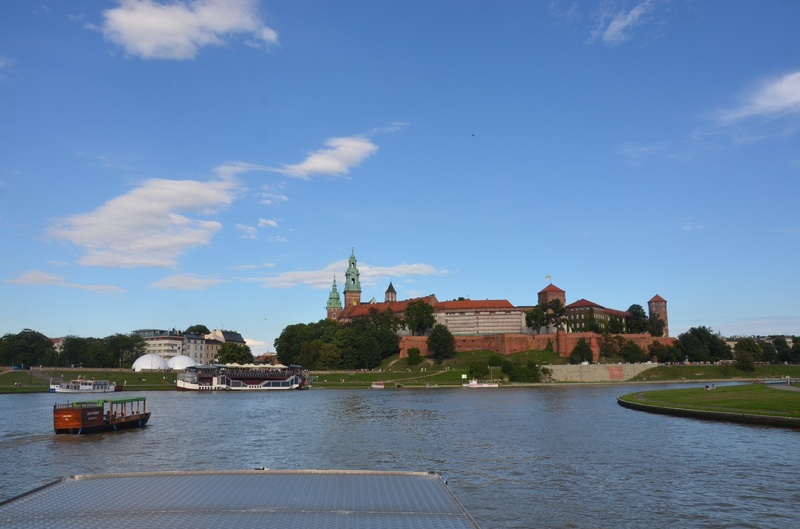 Then there’s the Wawel castle; an assortment of Romanesque, Renaissence and Gothic architecture dating from the 14th century onwards. It is a paragon of stately residence in the region; the much talked about symbol of national pride, self-rule, hope and fierce patriotism for the Poles. A must-visit for anyone headed to Poland. The vast Rynek Główny is Europe’s largest market square. 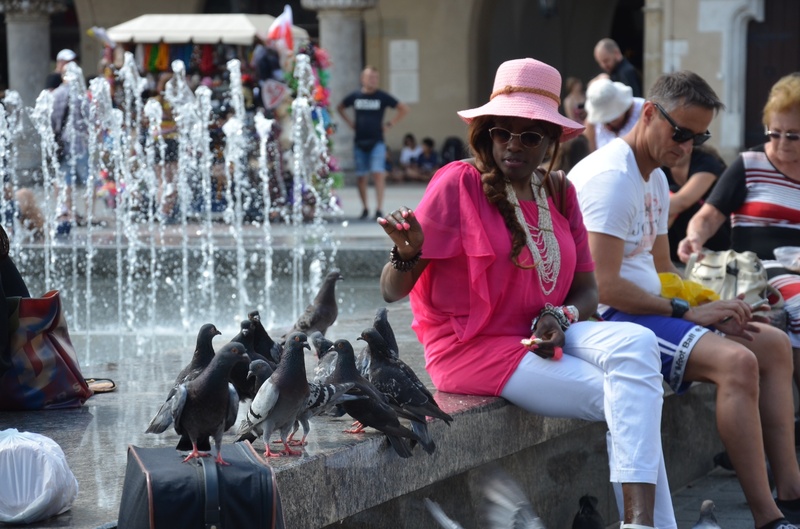 It’s fun feeding pigeons bread and sapping into the friendliness and bustle all around us. There are a myriad of cafes, clubs and cafes around the market square, plus so many more open-air events whether theatrical, musical, political or commercial. 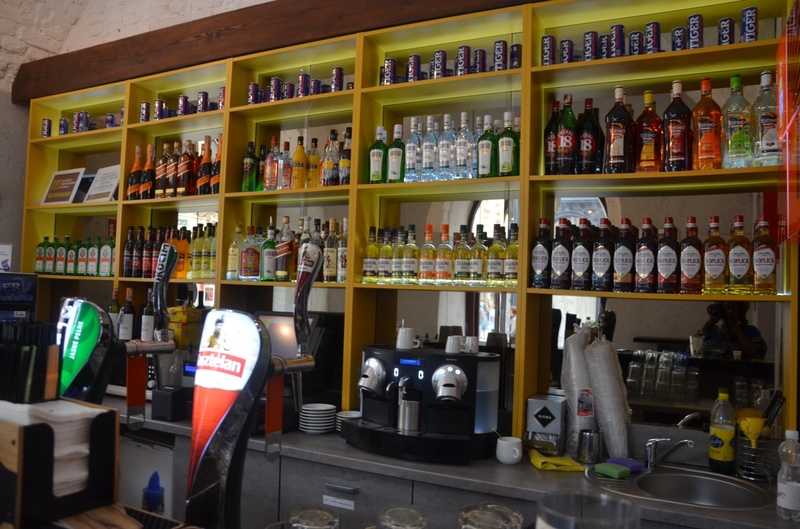 Krakow is known for it’s vodka; there’s lots of it here and in a range of flavors; from the plain Belvedere, Chopin to the flavorful brands like Wiśniówka (cherry-flavored) or Krupnik a sweet vodka made from honey and a multitude of herbs, and so forth. A tot of vodka can be as cheap as 4 zlotys, and has to be gulped in a quick swig; bottom-ups fashion. The hazelnut with milk vodka I ordered, tasted flavorful, I broke the rules preferring to sample it in short sips instead of at one sitting. While walking along Florianska street, we are invited into a pub by a guy at the door. We flip through the menu, and he leads us into a garden. There’s a suggestion. 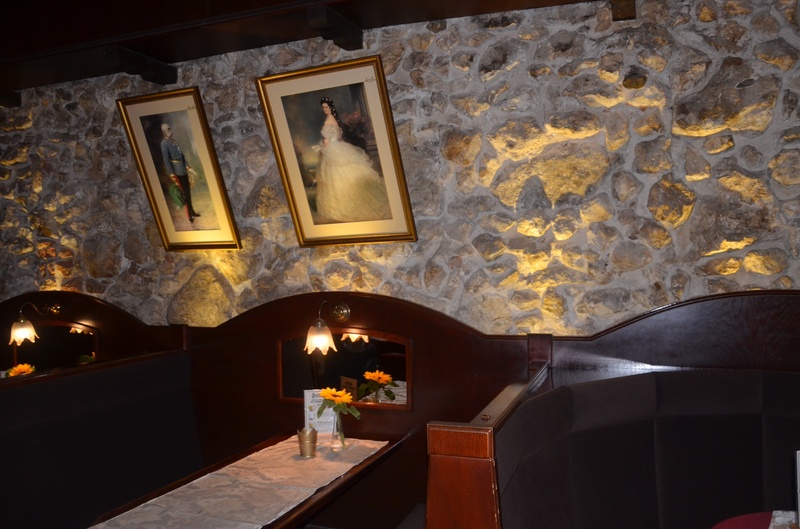 Would we want to have our meal in a cave? I’m not someone who has meals in caves very often, so I acquiesce..yes please. It’s not dark but candle-lit, the light splashes on the walls giving off a warmth glow of comfort rather than an eerie effect, but that’s not all. Our bowl of piping hot Zurek and slices of rye bread arrives shortly. 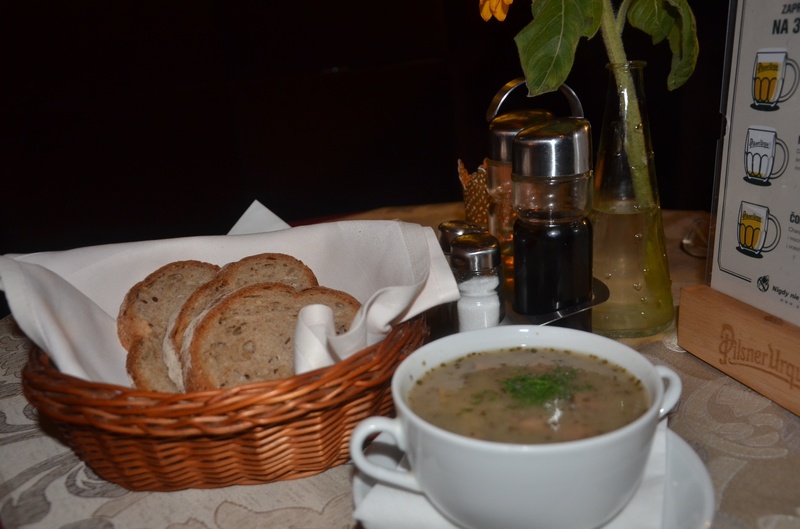 The soup is delicious, awakening our taste buds with the spices and smoked sausage in it. We clean out the bowl. Delicious Zurek made of sausage and egg served with slices of rye bread. 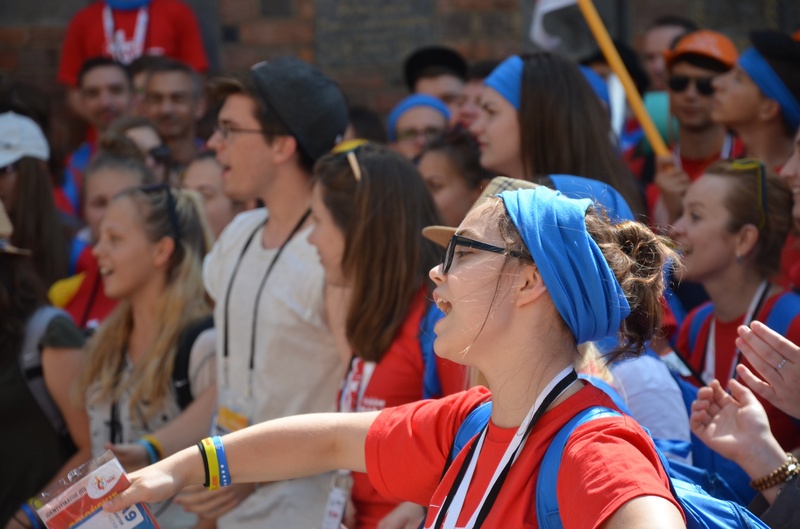 Because we have come into Krakow during World Youth Day, there are young people everywhere, bringing their youthful energy to the town. Pope Francis is also here at the same time. It means that in many places, tours are cancelled until further dates, or reserved only for the participants of the World Youth Days. We are squeezed into a tour of the Auschwitz camp with Discover Krakow, but not the salt mine tour as they are fully booked. We’ve had our magic, but it’s time to leave Krakow for Lviv, Ukraine. We had a drink “Mui Ptashek” (My Bird) in Cracow once- it was a coctail that came with sugar coating on the glass that was on fire. Beat all museums and castles, I tell you 🙂 If you are around Cracow in June, they have Dragon Festival. We plan to go next year. Amazing! 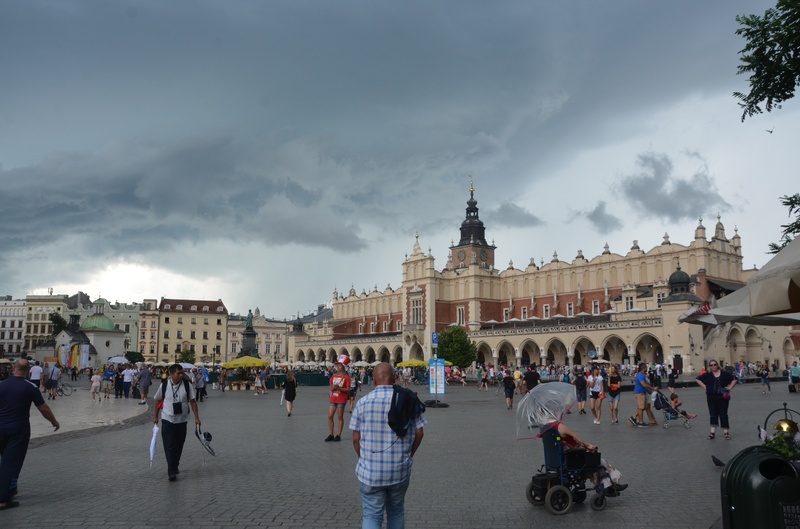 I should indeed do a return journey to Krakow! Thanks for the update. Whenever i read your articles its like am travelling also; Good work. Waiting to learn about Lviv, Ukraine. Thank you for your input. 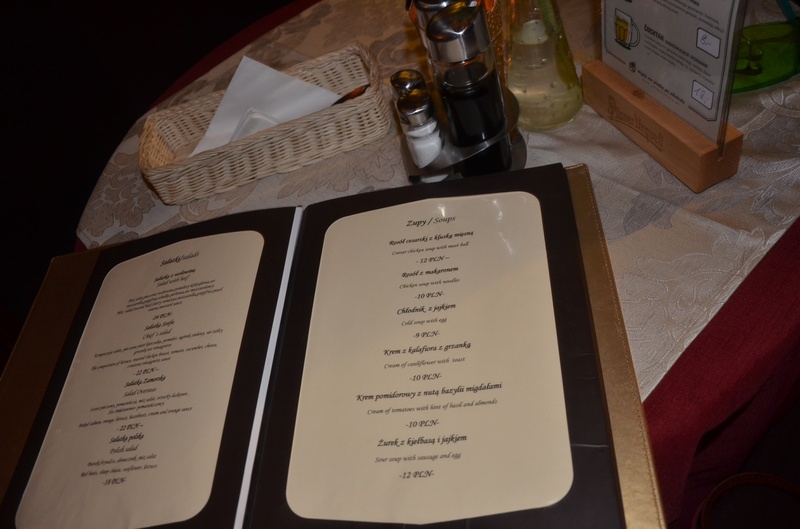 I’m working on the Lviv article and it will soon be on air. Interesting perspectives on Ukraine. 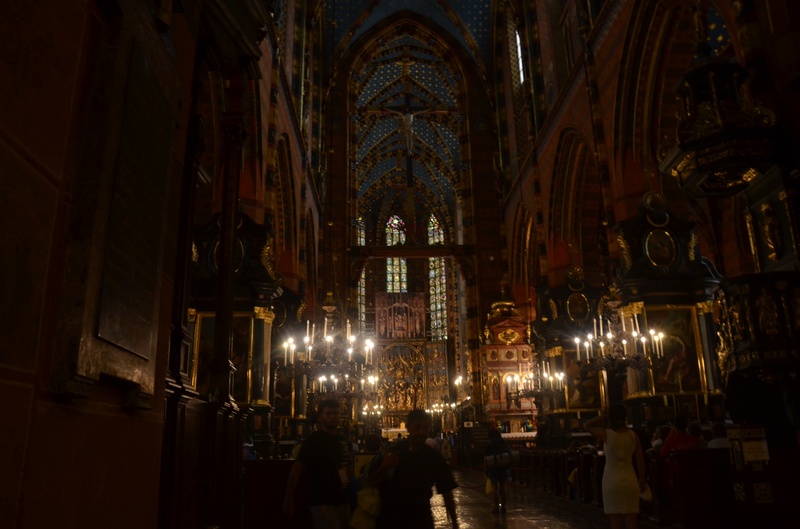 I’ve been to Krakow three times, and it really is one of the best places in Poland to go to! And how nice to see your daughter travelling with you. Your child will thank you for it lol! p.s. We’ve just returned from our European Summer Challenge by train. And I do remember those seats, but being that we were travelling by the night train, we only had two situations where we could really stretch out, the other nights were packed out. Thank goodness for paid reserved seats lol! I hope she will thank me! She complained quite abit as we backpacked Eastern Europe, but yeah, there were squeals of delight at different places ie Krakow, and Kiev..the huge motherland statue. Absolutely cool that you had traveled by train..given that part of our gambols were by bus, sitting upright for hours on end, I will truly plan for future trips to be by train where at least we can stretch out..:-). 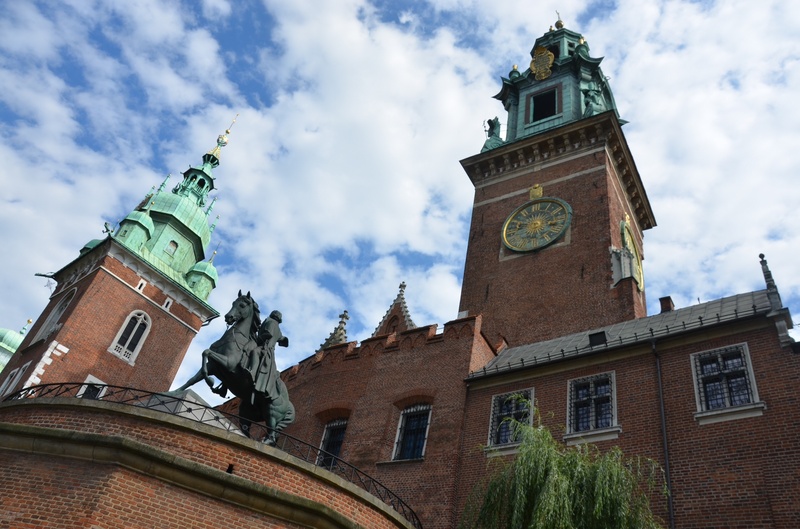 Wawel Castle looks so beautiful! That zurek is making me hungry! It is a beautiful castle!